The Inter Church Council of Atlanta met on Monday, April 13, 2015 at the Baptist Church in Atlanta. Member churches represented included Atlanta Baptist, Atlanta Christian, Atlanta United Methodist, Church WithOut Walls, Mt. Tabor and Mt. Zion. 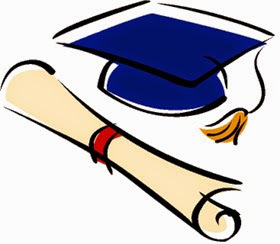 Plans for Baccalaureate Service were set for Sunday, May 10, 2015 at 8:00 P.M. at Mt. Tabor Baptist Church. The message will be provided by Bro. Chance Glenn with special music by Layne Phillips and Jamee Nelson. A reception with cupcakes and punch will follow the service. Three applicants for the annual Inter Church Council Scholarship were announced. Layne Phillips, Collan Thrasher and Christina Pennington will all be awarded $200 scholarships. Church in the Park will be held during Atlanta Homecoming weekend on Sunday, June 28, 2015 at 11:00 A.M. The rain location will be the Atlanta Christian Church. Bro. Daniel Brands will provide the message. For more information about the Inter Church Council of Atlanta, please visit www.goatlantachurches.blogspot.com.